The star was named within the project “PALE BLUE DOT,” which is part of the international organization “White Dwarf Research Corporation” which supports astronomical research. Right ascension: 18 h 59 m 47.09 s Slope: 46 * 26 ‘ 44 ‘, ‘ magnitude: 11. [VoU Editor: ok, those numbers are too funny also]. 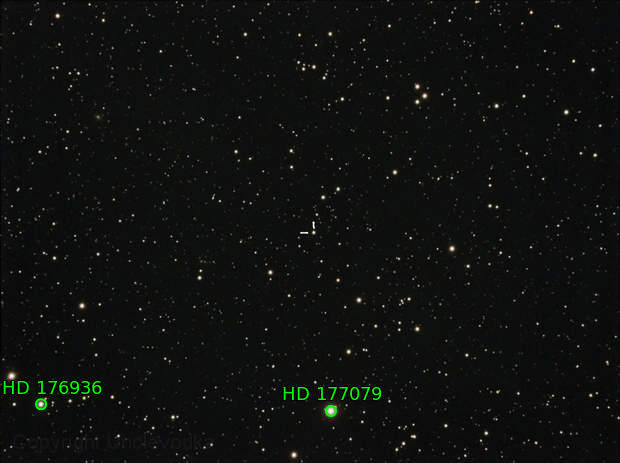 The star is located in the field of view of the “Kepler” telescope (between the constellation Lyra and Swan). It is in close proximity to the Vega star (second in brightness in the northern hemisphere), [and between it and the] Deneb [system] and Albireo, which helps in the search for a star with a new name. The star is recorded in the databases of the program Google Earth, which is also available on the territory of the Russian Federation. Kepler, the international astronomical directory, records the everlasting names of all stars. 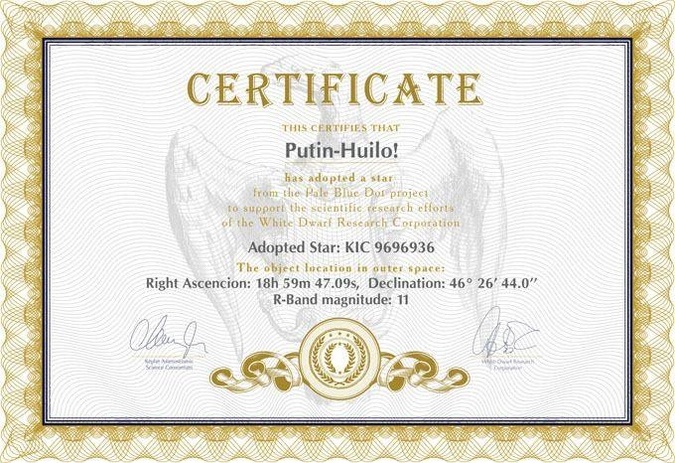 [VoU Editor’s note: And so the celestial heavens shall sing for time immemorial: Putin-Huilo!]. 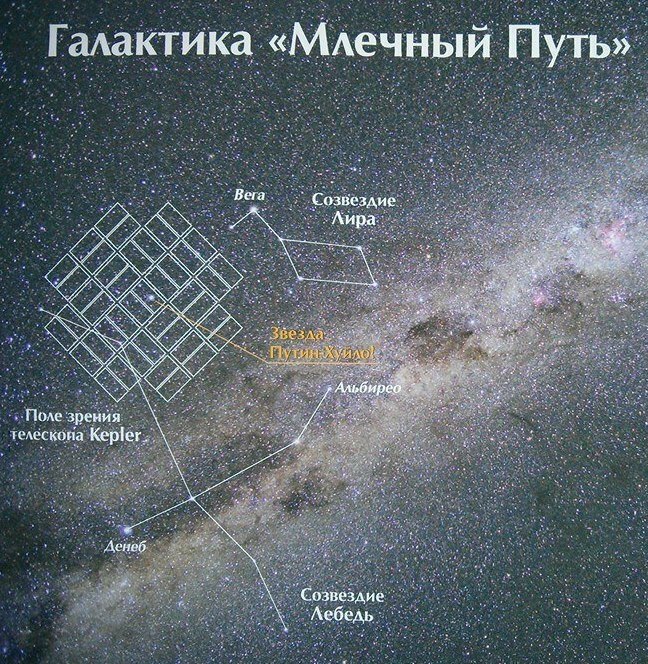 Kepler Telescope view of the Milky Way section where Putin-Huilo! is located. Map: William Pawlowsky. This entry was posted in "Voices" in English, Beyond Politics, English, English News, Poetry and tagged #SaveUkraine, #ukraineprotests, astronomy, civil society, EuroMaidan, Maidan, Putin-Huilo star, Ukraine. Bookmark the permalink. Makes no difference what a dickhead you are!